Smaller batches and different types of product in the same plant – these are the market demands to which more and more manufacturers in the process industries need to adjust. The answer is plants based on the “Lego principle”. 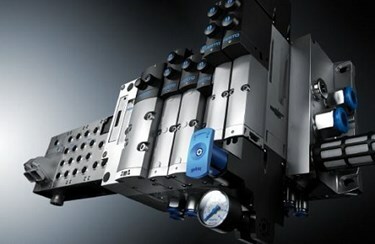 Users can add modules or switch them off in line with requirements. But this is only possible with modular automation. At present, the design and engineering of process plants is precisely tailored to the respective task, whether for the production of a specific product in x units per time unit or for the throughput of a specific substance in x quantity per time unit. The mechanical design of the plant as a whole is geared towards meeting specifications and guaranteeing the required performance data over the projected life cycle of the plant. The corresponding automation is carried out using management systems comprising processspecific (control) components, operating and monitoring stations as well as engineering stations. The entire process is centrally controlled by a single management system. Changes/optimizations to the process sequence require detailed knowledge of all the application software, even for subprocesses. Any increase in production capacity the plant operator might want can be impossible or at best costly to achieve, and frequently results in the construction of a new plant. Reducing production capacity can also be problematic, since this can affect product quality and undoubtedly the profitability of the plant.